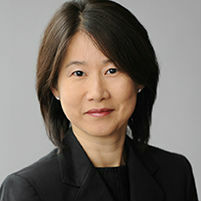 Yoon Kang is a partner in Smart & Biggar’s Toronto office. She plays a leading role in the firm’s life sciences litigation practice and counsels global pharmaceutical innovators and research institutions on all aspects of patent rights, including in small molecules and biologics inventions. Kang has significant experience as lead counsel, representing pharmaceutical clients before the Federal Court and Federal Court of Appeal, including under the Patented Medicines (Notice of Compliance) Regulations. In 2018, she was named ‘Best Lawyer in Life Sciences’ in North America by the Euromoney LMG Americas Women in Business Law Awards.